The author Naomi Jacob led a life that was every bit as interesting and eventful as those of her characters. In fact it was her own family background which influenced her most popular and well-known work - the seven volume historical family series The Gollantz Saga. Jacob's paternal grandfather was a Jewish tailor who had escaped the pogroms of Western Prussia to settle in England, while her mother's father was a Yorkshireman who was twice the mayor of Ripon. The experience of this mixed heritage shaped her saga of the Gollantz family, whose founding father moves from eighteenth-century continental Europe to start a business and family in London. The author's own emigration was from England to Italy. After suffering with tuberculosis for many years, she moved to Sirmione on Lake Garda to benefit from the milder climate. The Gollantzes' story begins with The Founder of the House, which introduces us to Emmanuel Gollantz. His father, Hermann, is an antiques dealer who lives according to the principles of loyalty, honesty and honour instilled in him as a child. But his wife's calculating family exploit this idealism, threatening Hermann's professional and personal positions. Set mostly in nineteenth century Paris and Vienna, The Founder of the House makes reference throughout to the real-life famous people of the day, including Napoleon, Prince Metternich and Strauss. Naomi Jacob was no stranger to the celebrated people of her own time. Not only was she a bestselling author, she also had success as a character actor. She worked and socialised with household names such as John Geilgud (starring opposite him in the West End), the Du Mauriers, Henry Irving, Marie Lloyd and Sarah Bernhardt. Jacob also established a life-long friendship with the novelist Radclyffe Hall, after appearing for the defence in the obscenity trial of The Well of Loneliness. In Vienna, the Gollantz family are well-regarded but are barred from high society because they are Jewish. Emmanuel, therefore, takes a great risk when he embarks upon a love affair with a member of the inner circle of the Viennese Court. Although she was raised in the Church of England, and then converted to Roman Catholicism, Jacob was proud of her Jewish heritage, and fought against anti-Semitism in her life and work. In 1935 she returned an award for one of her novels when she learned that another recipient was Adolf Hitler. At the end of the Second World War, she helped the many Jewish refugees in her home town of Sirmione. 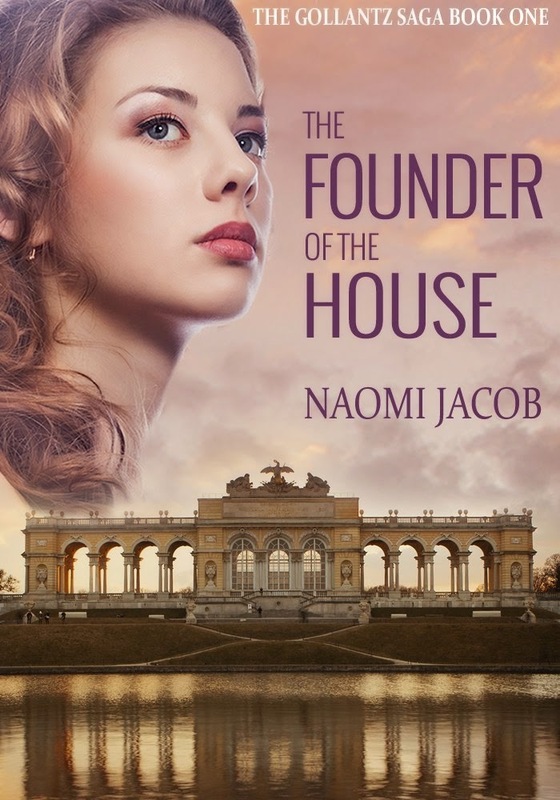 The Founder of the House is an insightful and entertaining tale about family ties and rivalries, love and ambition. It is told with the candour and wit which were the author's trademarks. The Gollantz Saga is being reissued to commemorate the 50th anniversary of the author's death, so this is a fitting time for readers to rediscover her engaging chronicle of family life. You can read more about Naomi Jacob at www.naomijacob.com. Hermann lives his life according to the principles of loyalty, honesty and honour instilled in him as a child. But these ideals are ruthlessly exploited by his wife’s family, threatening everything that is important to him. Protecting his beloved wife, Rachel, from the truth carries a great cost. Jacob had a mixed heritage, which influenced her life and work. Her paternal grandfather was a Jewish tailor who had escaped the pogroms of Western Prussia and settled in England, while her mother’s family had strong Yorkshire roots. Her maternal grandfather was the two-time mayor of Ripon in Yorkshire. He also owned a hotel in the town. Her father was headmaster of the local school. She published her first novel, “Jacob Usher” in 1925. It became a bestseller. 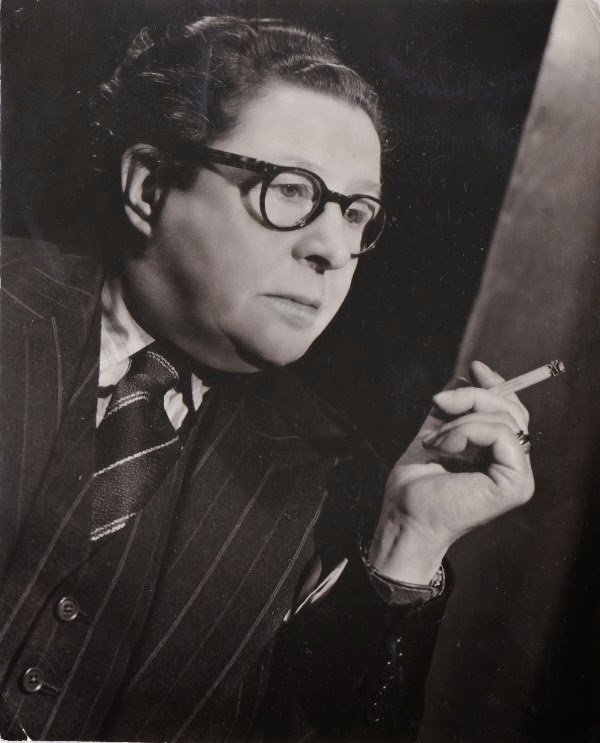 In 1928 she appeared for the defence of Radclyffe Hall’s “The Well of Loneliness”, and developed a friendship with Hall and her companion Una Troubridge. After suffering with tuberculosis, in 1930 she left England for Italy, where she lived for most of the rest of her life. She lived in a villa in Sirmione on Lake Garda, which she called “Casa Mickie” (she was known to friends and family as “Mickie”). In 1935 she was awarded the Eichelberger International Humane Award, for outstanding achievement in the field of humane endeavour, for her novel “Honour Come Back”. She rejected the award when she discovered that another recipient of the award had been Adolf Hitler, for “Mein Kampf”. She returned to Sirmione before the end of the war, helping Jewish refugees in the town. Over the years, she frequently returned to the UK, and in the 1950s and early 1960s was regularly to be heard on the BBC radio programme “Woman’s Hour”.